Tiny House On Display At Northwestern University - Roberts Architects LTD Roberts Construction Group, Inc.
Visit the TINY HOUSE, it’s on display at Northwestern University this week only. 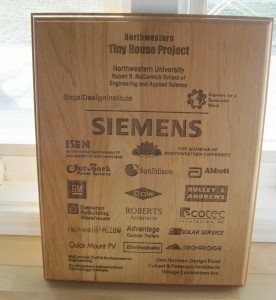 Roberts Architects and Construction was honored to help the Northwestern University student team with design, materials, tools and labor to complete the TINY HOUSE sustainable housing demonstration project. Evanston Rebuilding Warehouse supplied reclaimed building materials and cabinetry for TINY HOUSE. 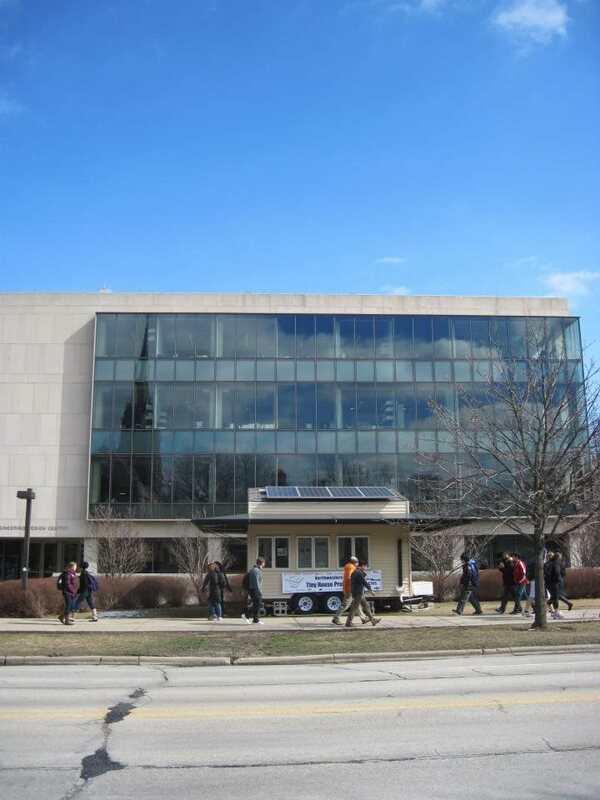 Tiny House On Display At Northwestern University. Roberts Architects and Construction - Proud Sponsors and participants. 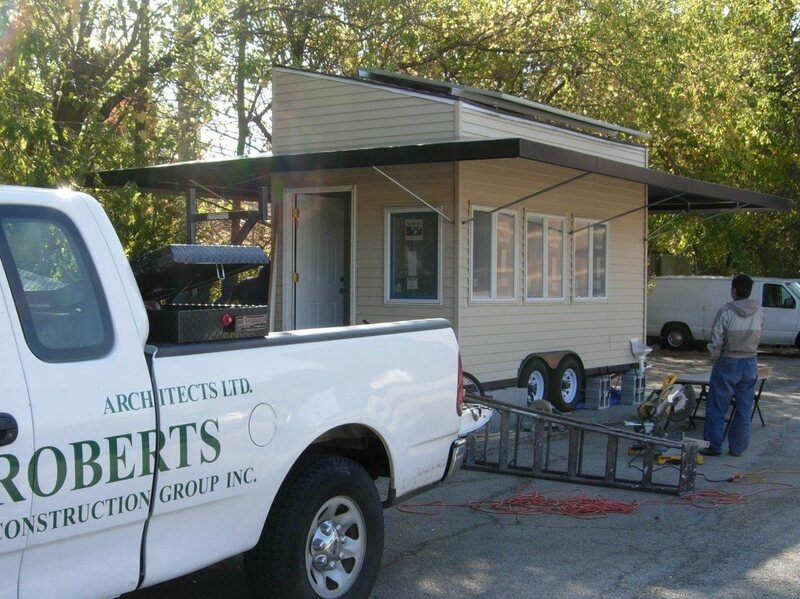 Roberts Construction helping the Tiny House Team of Northwestern University Engineering students.